Freshëns Fresh Food Studio is a healthy “fast casual” concept, which offers made to order food inspired by fresh ingredients, as well as their signature fresh blended smoothies and frozen yogurt. id8 and Freshëns have a long working relationship and have helped create many successful new product launches. 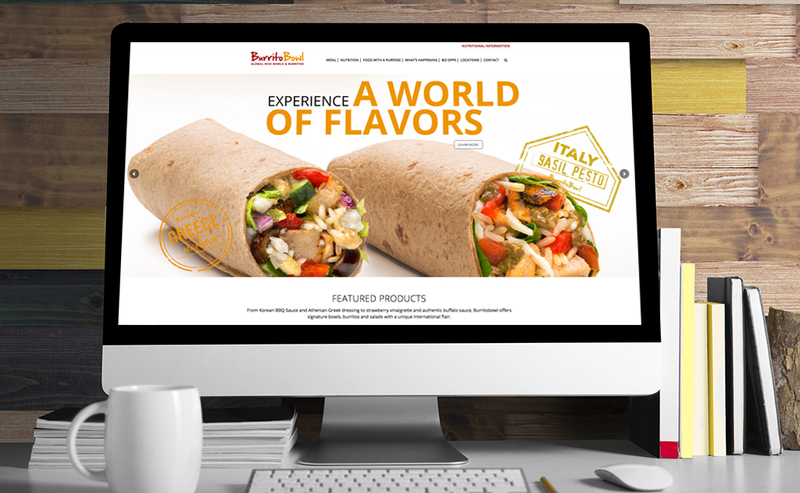 Recently, Freshëns developed a new store concept called Burritobowl and again engaged id8 to design marketing materials to launch the new store concept. Burritobowl offers global rice bowls and burritos along with smoothies and salads. id8 assisted with art direction during the photo shoot of the new rice bowl and burrito product offerings. id8’s goal at the photo shoot was to capture images that highlighted the fresh ingredients used to create each product. id8 also created a new responsive website for Burritobowl that focused on using large product images to showcase the unique flavor profiles of the Burritobowl products. The responsive website has a modern design and was created to be very user friendly since research showed that most consumers would be accessing the site via their mobile device to obtain nutritional information. Analytics reporting shows about 1,500 visits per week to the website. Freshëns and Burritobowl both have a new Food with a Purpose approach. This idea is their commitment to provide guests better choices through responsible sourcing of the ingredients used in our recipes. They want to set an example for others to follow. In order to promote this concept, id8 created a new sales sheet to be used at trade shows and new business meetings promoting this new idea. In conjunction with the Food with a Purpose concept, id8 created a standee that is placed at each storefront that promotes both Freshëns and Burritobowl using chicken raised without antibiotics in their product offerings.